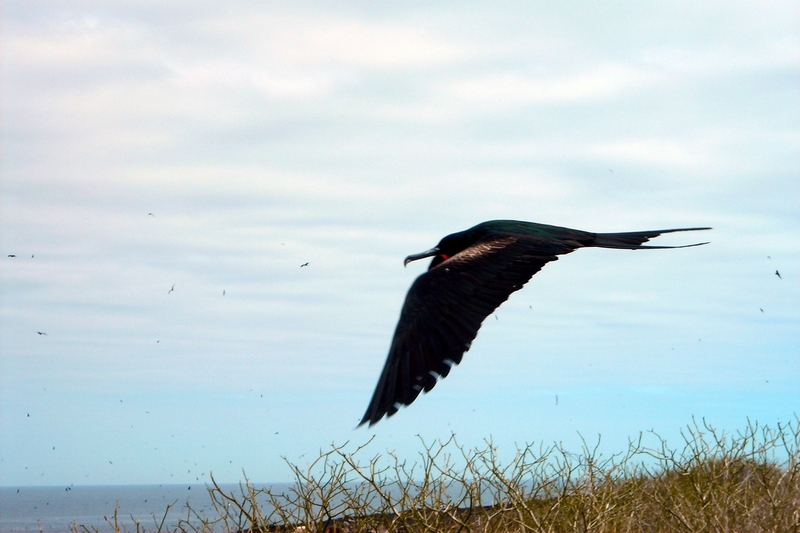 A male frigatebird in flight, ID’d by his hooked beak, forked tail, and red throat pouch. There are so many seabirds on the cliffs of Genovesa, it was easy to capture one (or several) in motion. I think I see a green sheen to his feathers, which would make him a great frigatebird; purple would indicate a magnificent frigatebird. Next Article THE SANCTUM OF THE SPHERE is live! What a beautiful photo, such an elegant bird. Love the landscape framing too… The little slither of grass makes it really interesting.